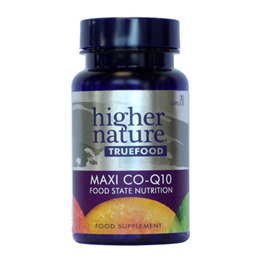 Proprietary mixture: co-enzyme Q10 with enzyme digested Saccharomyces cerevisiae (with soya); capsule: hydroxypropyl methylcellulose*; anti-caking agent: magnesium stearate*; anti-caking agent: silicon dioxide. *vegetarian source. Adults take 1 capsule a day, with or between meals, or as your health professional advises. Below are reviews of True Food Maxi Co-Enzyme Q10 - 30 Vegicaps - Best before date is 31st May 2019 by bodykind customers. If you have tried this product we'd love to hear what you think so please leave a review.